Ten years after Gwyneth Paltrow has launched a blog called ‘Goop’ about her London life (at the time she lived in Belsize Park, was married to Coldplay frontman Chris Martin and they were raising their two children, veering between American & British cultures and traditions, now she is newly married and relishing the role of an entrepreneur, with acting taking the back seat), Goop the company has landed back on British shores, with a Goop pop-up in Notting Hill (188 Westbourne Grove). 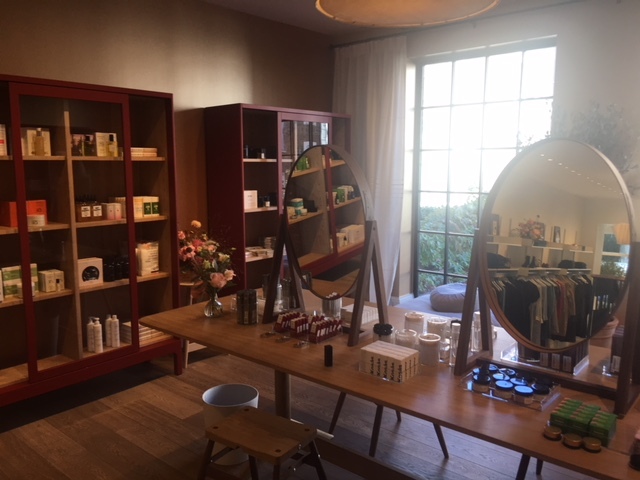 For now it has plans to run the shop until January 27 and for the first time you can buy various Goop product categories in the UK, while Goop Beauty is also being launched via partnerships with beauty retailers like Cult Beauty. 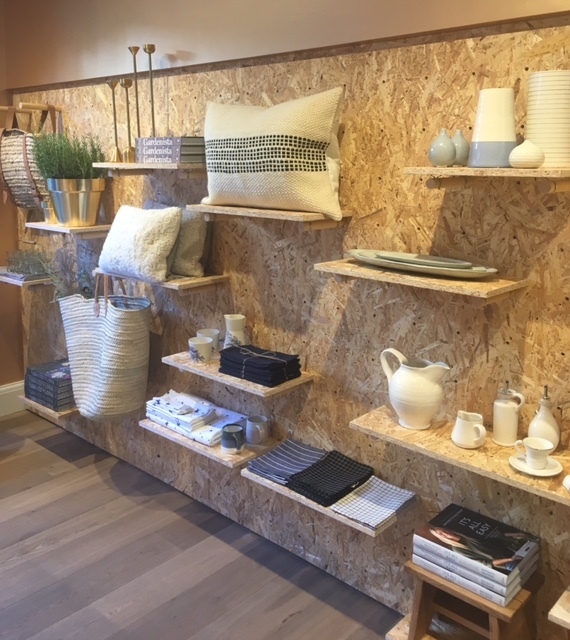 Having visited the pop-up a day after it opened its doors to the public, below are my first impressions of the store and what awaits you there. Now, from the Instagram perspective it is an undoubtful winner. 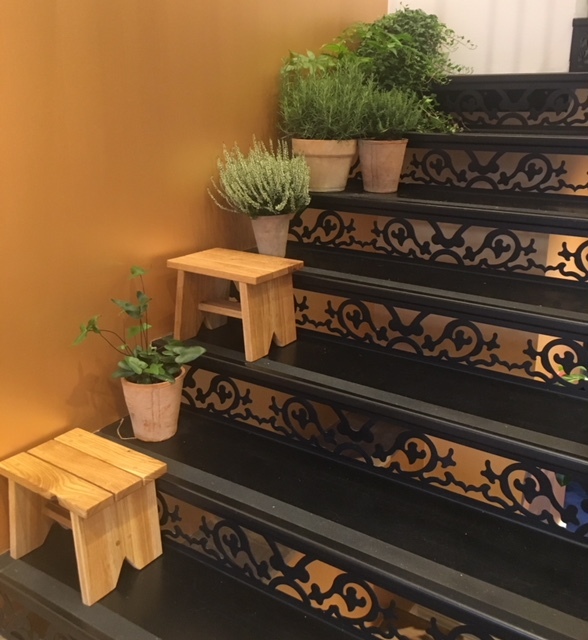 Four floors, high ceilings, plenty of natural light, potted plants, friendly and good-looking staff, iron and wooden staircases, all coupled with impeccable attention to detail. 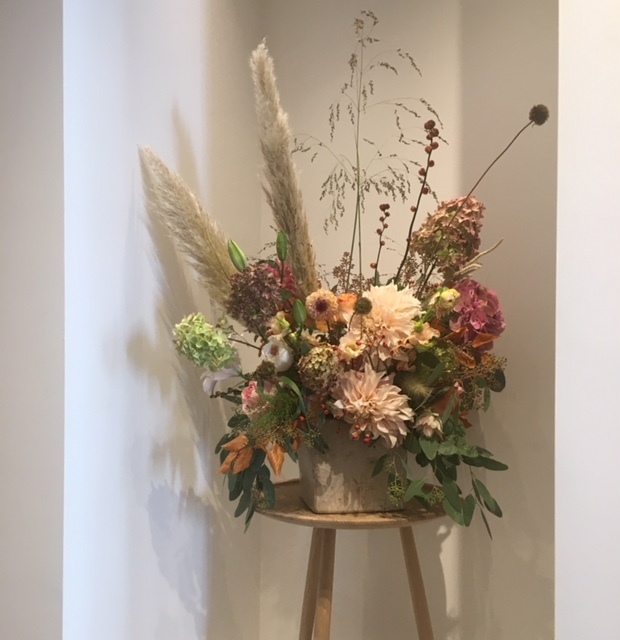 Interior designer Fran Hickman has worked with London’s flower doyenne & founder of ‘Wild At Heart’ Nikki Tibbles on plants, as well as with Nest Design & Vitsoe and Pinch, based on the brief that Goop team had for its London’s pop-up. 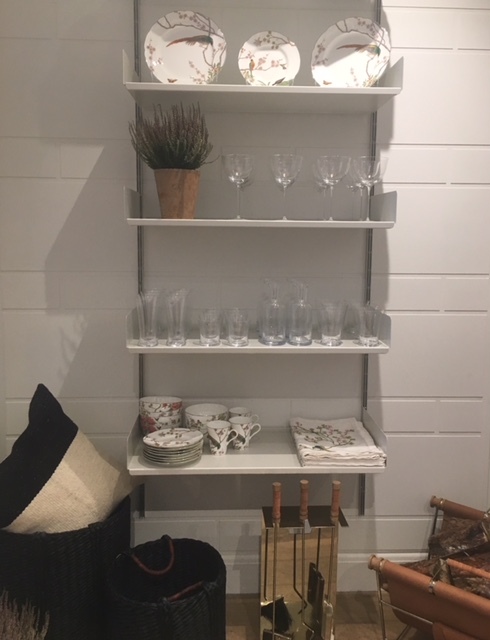 Yes, it was only a second day since the official opening, so some of the beauty shelves were still empty, delivery guys were zooming unobtrusively through the store and quickly disappearing into the stock room. 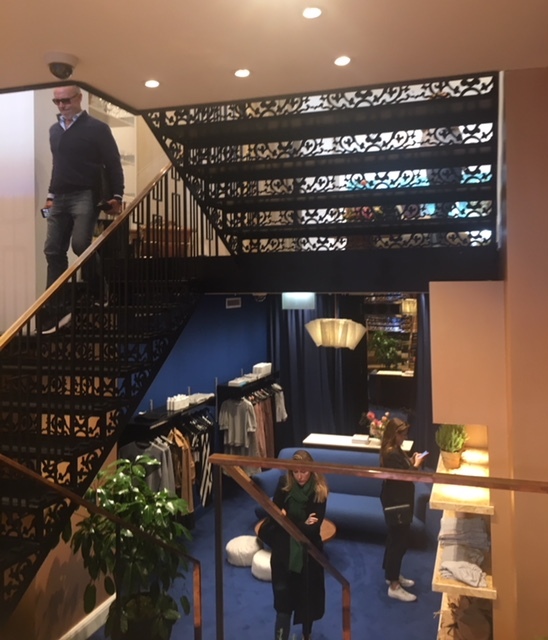 The inner courtyard was covered in boxes too, but if anything, it was fun to see the work in progress, which customers probably won’t be seeing later on, once Goop settles into its new London home. 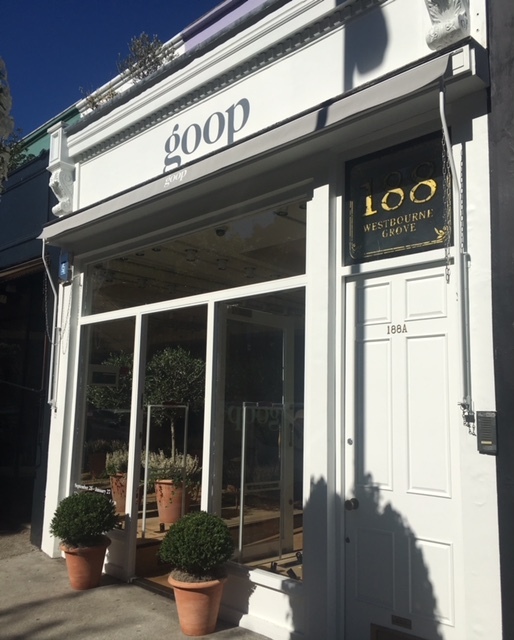 On the ground floor, as you enter, you have Goop clothes (G. Label), which until now were only available for purchase via Goop US website. Parkas, sweaters, tops and trousers in the autumnal hues of brown, being, khaki and purple are pleasing on the eye, but expensive on the wallet. Downstairs you have a selection sports/active wear (none of them looked big enough to cover my 10/12 body frame even partially, but then I am probably not the target size member of the Goop audience), which I was told will be expanded over the coming weeks. 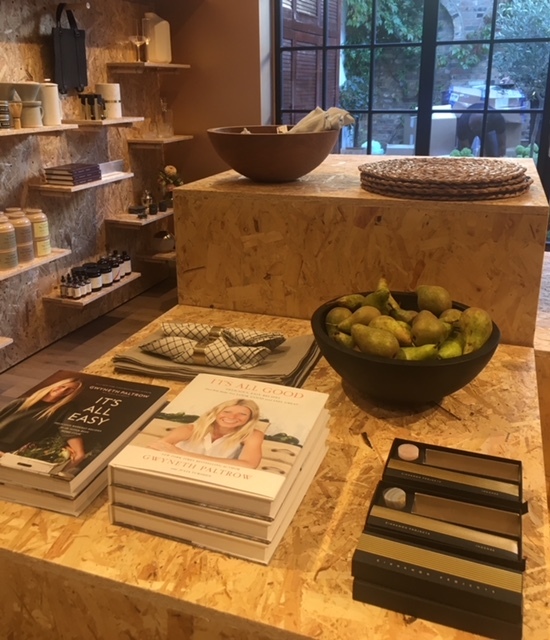 There is a selection of Gwyneth’s cookery books and plenty of homewares, including huge pepper & salt mills, towels, aprons and al. I was charmed by an incense holder (image below, right bottom corner), until I saw an eye-watering £255 price tag, which somewhat dampened my enthusiasm for it. The actual incense sticks are priced at a more affordable £18. 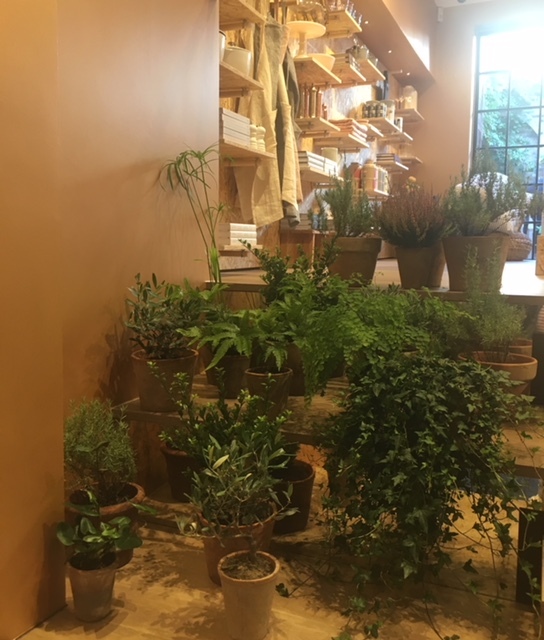 I love the green element of Goop pop-up, with natural wood and its scent drifting around, potted plants (not sure if they play a decorative role or are for sale), as well as fresh bunches of wild flowers dotted on high wooden stools. 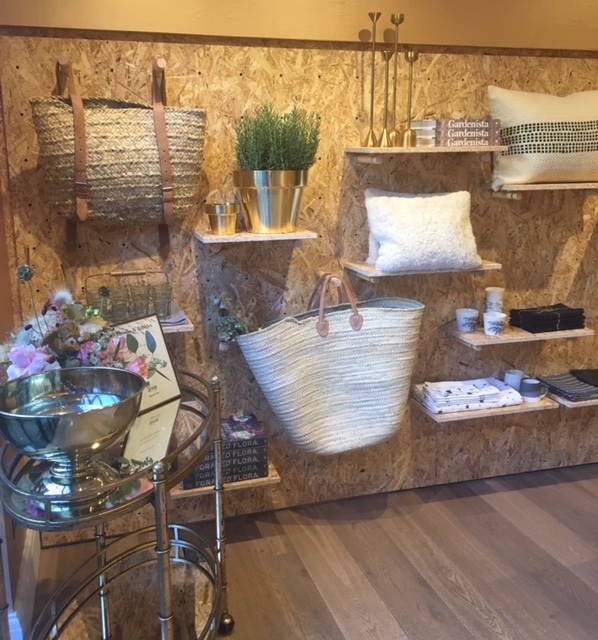 It creates a pretty and natural backdrop to your surroundings and enhances the shopping or exploring experience. 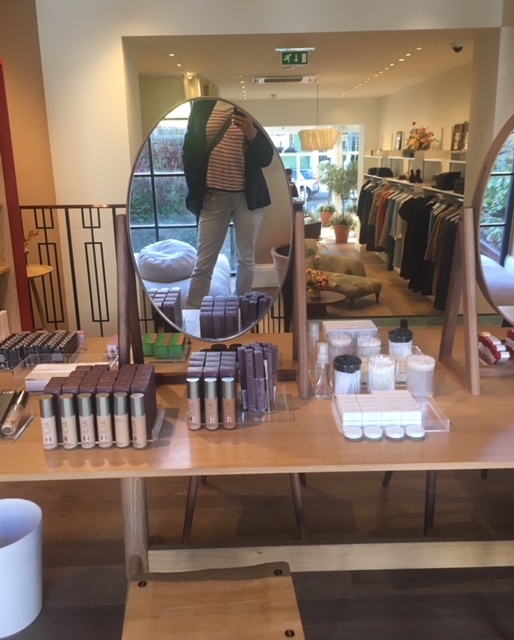 Upstairs you have the beauty mecca and the staff is on hand to make recommendations, or let you sit and experiment with make-up in front of a vanity style mirror. 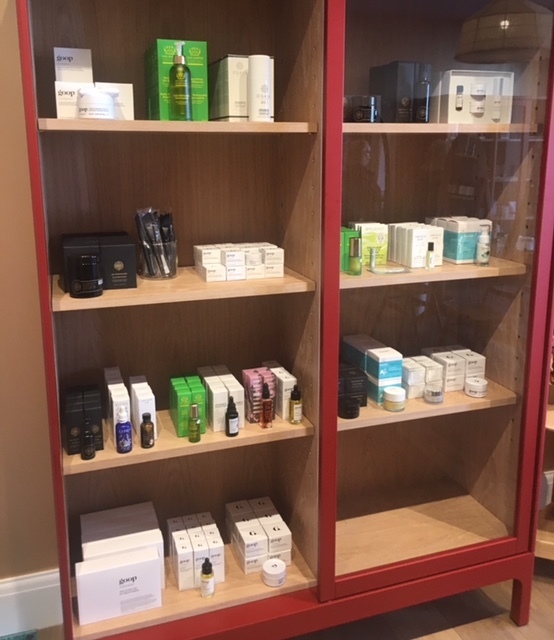 I was surprised that most of the beauty offerings were already familiar to UK beauty affectionados & sold via UK retailers, namely Tata Harper, Ilia Beauty, Kjaer Weiss, Vintner’s Daughter and RMS Beauty, but not the ones that Goop carries and sells in the US, but that can be due to EU tight compliance regulations. As I was browsing I got to chat with one of the sales assistant’s, a young man who used to dance for Royal Ballet. 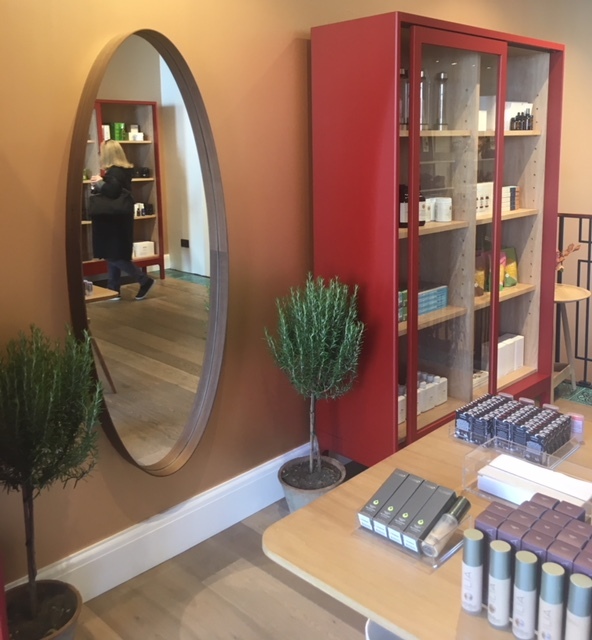 Clearly interested in beauty and wellness, he proceeded to praise Vintner’s Daughter face oil and Juice Beauty make-up, a brand with which Gwyneth has partnered for her Goop Beauty products (you can buy all of them, including trial kits, but not surprisingly, Goop face care coms with a weighty price tag upwards of £80. And Goop’s Enriching Face Oil’s scent actually reminded me of VD). 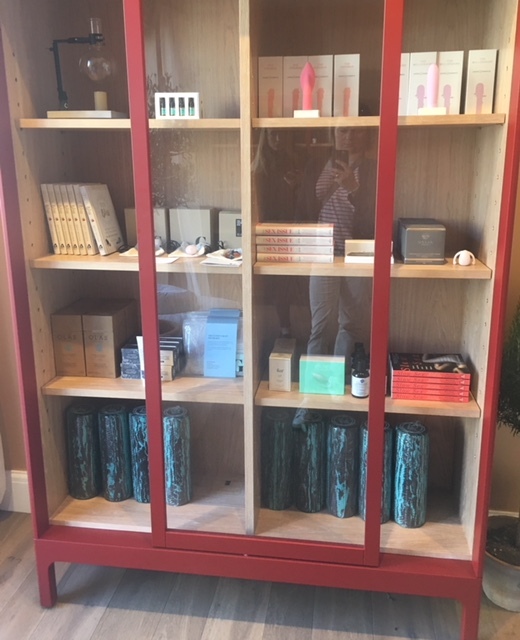 I was intrigued to explore Goop natural perfume creations (the brand also offers candles as part of its scent range), which use natural ingredients and have poetic briefs, citing certain elements of nature, like wood or water, as inspirations for their creation and names like Orchard, Shiso, Church, and Incense. No.1 Church is a best-seller according to staff, but I have my eye on a more ‘quiet’, but no less intriguing No.3 Incense. 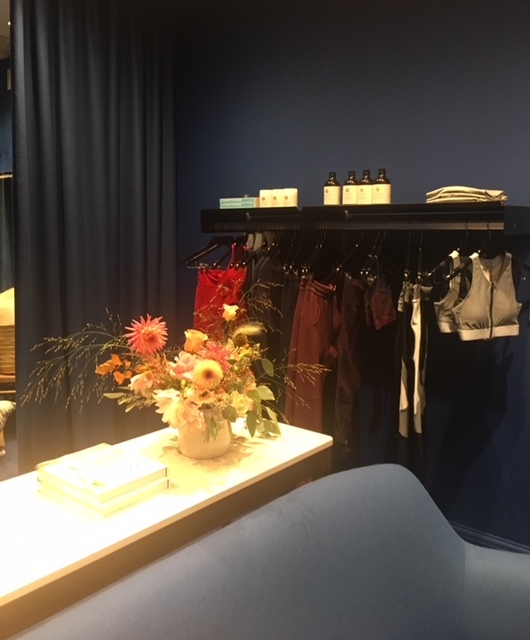 Goop Pop-UP is a highly Instagrammable shopping destination for browsing, shopping optional. The staff is on hand to help & answer your questions, calm, casually chic and polite. At the time I was there people were clearly coming in to indulge their curiosity, but tills weren’t ringing wildly. Having said that, knowing how many follow Goop, I am sure this pop-up will be a success.